AuttyW: #FOTD 10 & #NOTD Ft. Ninja Polish Floam! #FOTD 10 & #NOTD Ft. Ninja Polish Floam! Today I have a combined post for you! I decided not to do my FOTD post on Saturday like I had planned. Not only that but I have a special polish for you from Ninja Polish! Ugh I love it! I got this polish from the lovely Corrinne from Galactic Lacquer for winning her blog anniversary giveaway! I love her blog and envy her nails so definitely go check her out! Floam is a really popular polish, I remember seeing it a while ago and wanting it back then, but it slipped off my radar and I am not sure why. Imagine how excited I was when I won! Eek. That f'real make my week! 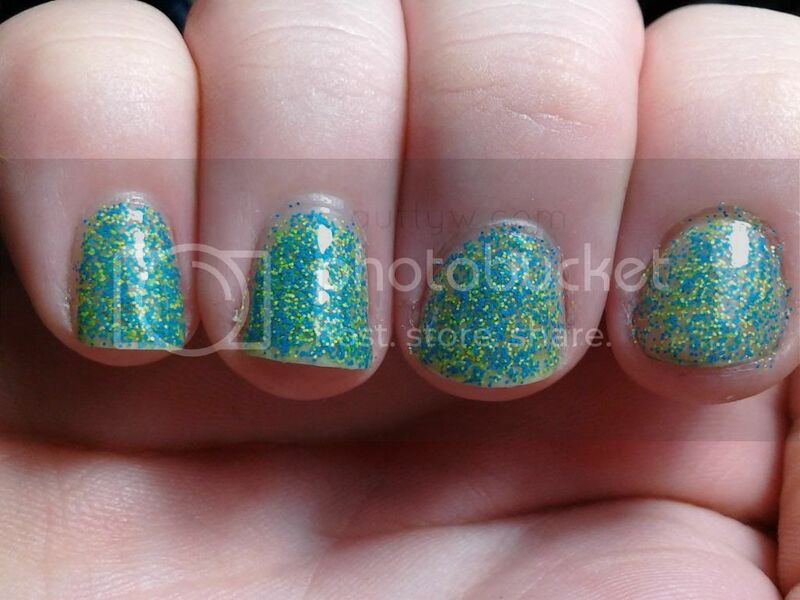 Floam is a matte neon blue and green/yellow fine glitter in a clear base.The base to me is a little bit yellow, but I really don't care. It makes the polish all that more beautiful! 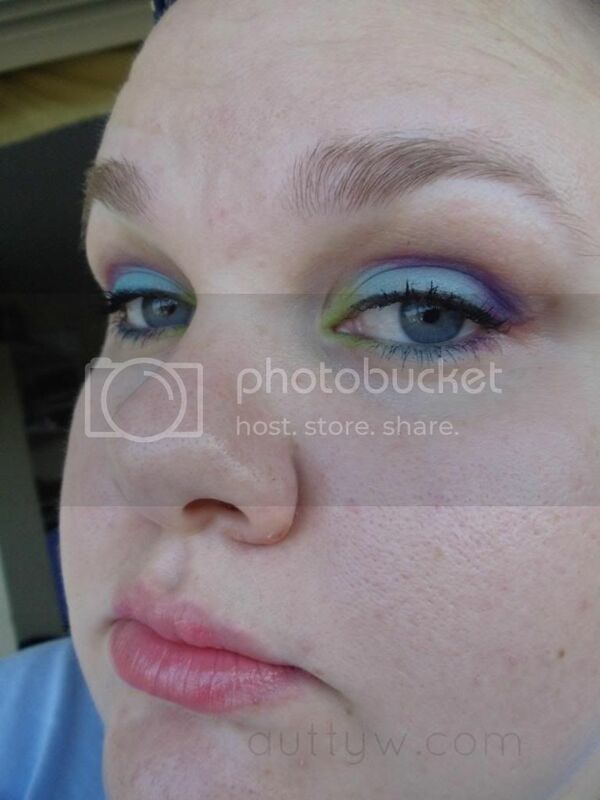 For my FOTD I went with Sugarpill. 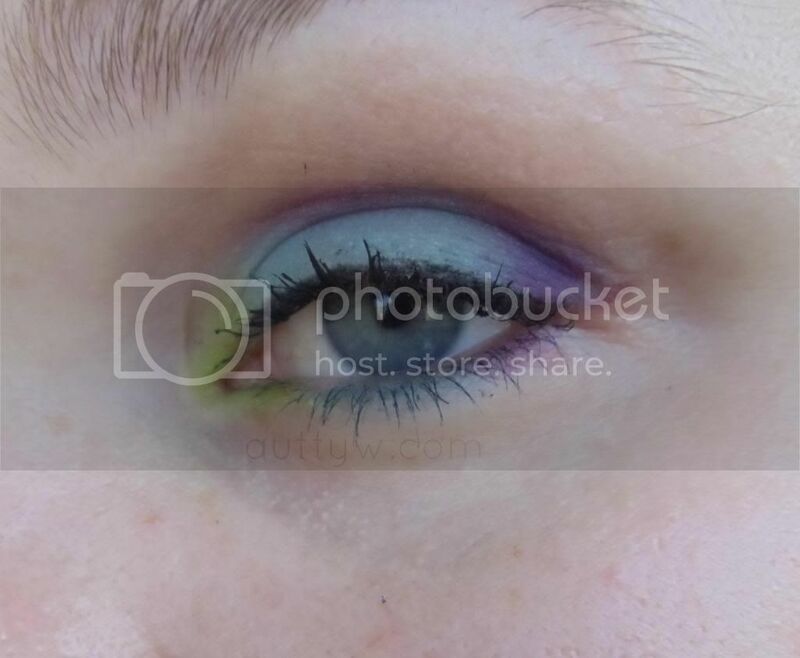 I saw Vintage or Tacky do her "Speed Tutorial" and she used some of the colors out of the Sugarpill palette and it stuck in my head and I was determined to do it! =D It came out a lot better than I thought it would honestly. To see both pictures and a list of products click on! For my nails, I used about 4-5 coats of polish. I wanted it to look pretty opaque. You can still see some of the VNL but that is okay with me. The polish is too gorgeous to even care though! Like normal I didn't even bother putting anything on my face. I didn't even bother with my Stay Matte powder honestly. My lips are the normal Korres Lip Butter in Pomegranate. Chris and I weren't doing much of anything and it was pretty early in the morning, so I didn't even bother putting anything on my lips. Disclaimer: The Revlon Lash Potion was sent to me for free for review. I am not affiliated, being sponsored or paid by Revlon to use/talk about this product. All opinions are MY OWN. 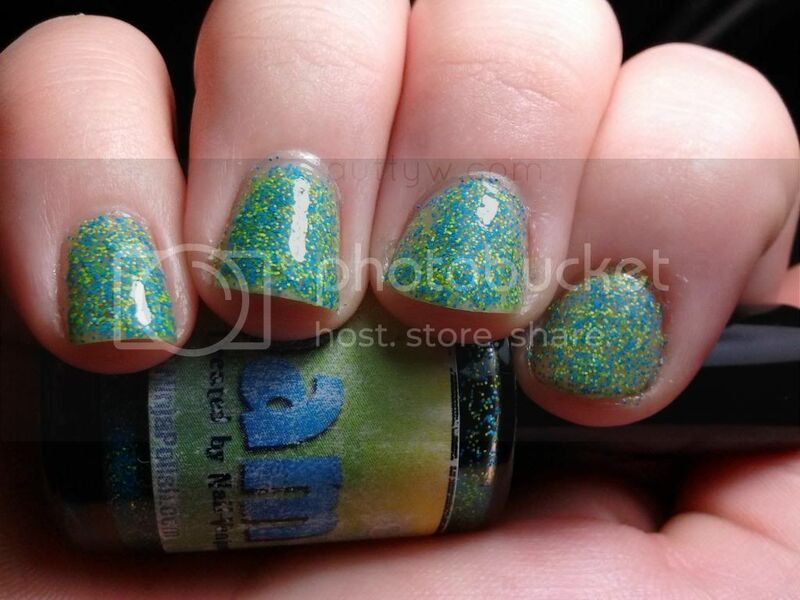 Floam by Ninja Polish was won in a giveaway held by Galactic Lacquer. Everything else was purchase by me with my OWN money.